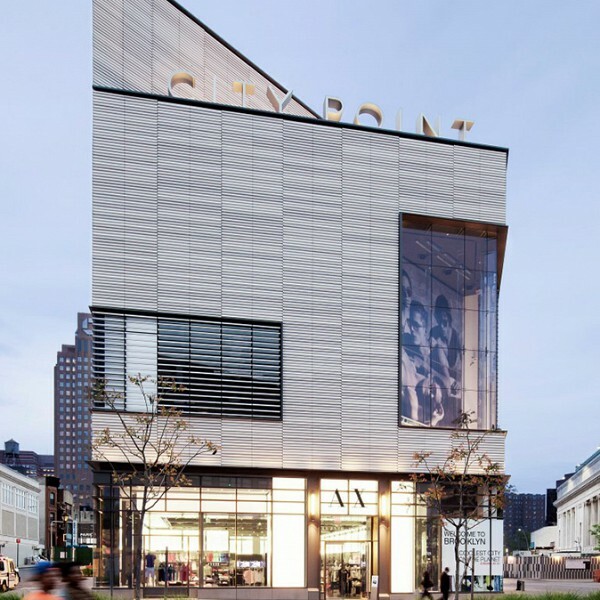 Description: This two-phase mixed-use development includes Phase I, a 730,000 sf retail development that maximizes its street frontage and minimizes interior spaces, creating a dynamic center that will attract people from throughout the city and spur a hub of economic activity in Brooklyn's downtown. 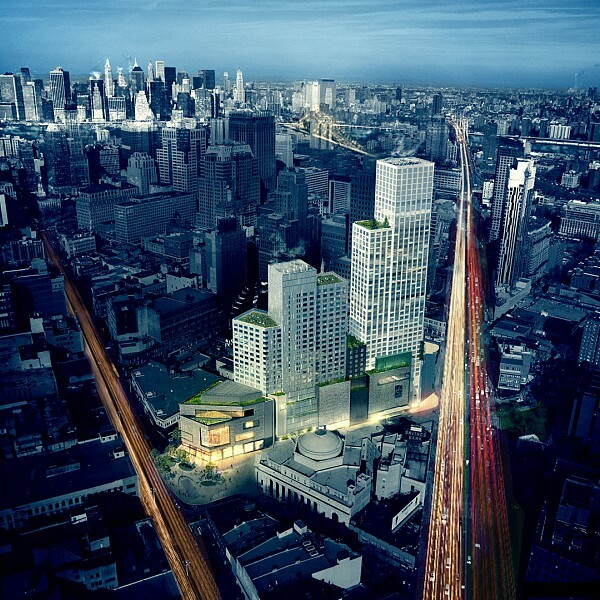 Phase II is a 375,000 sf high-rise residential building on top of a retail podium. The design incorporates highly filtered indoor air, extensive commissioning and the use of low-VOC emitting materials throughout the project. Low-flow plumbing fixtures throughout the building reduce potable water consumption. The landscape design features native and adaptive vegetation which limits the amount of water required for irrigation, and a high-efficiency drip irrigation system minimizes water loss to evaporation.